Students make a great market for the company, so Apple has distinguished the whole store with discounts for them. They offer students even gadgets with good discounts. Many Apple users hardly know about this special education store, however, the education net is so wide that you may be the part of it too! So why not to get a Mac with a discount? Who Can Use Apple’s Education Discount? Everyone who works in the educational field can get this kind of discount. It doesn’t mean that only students or lecturers can get it. Administrative staff and other members of educational institutions who work at schools, colleges and universities can use this advantage. 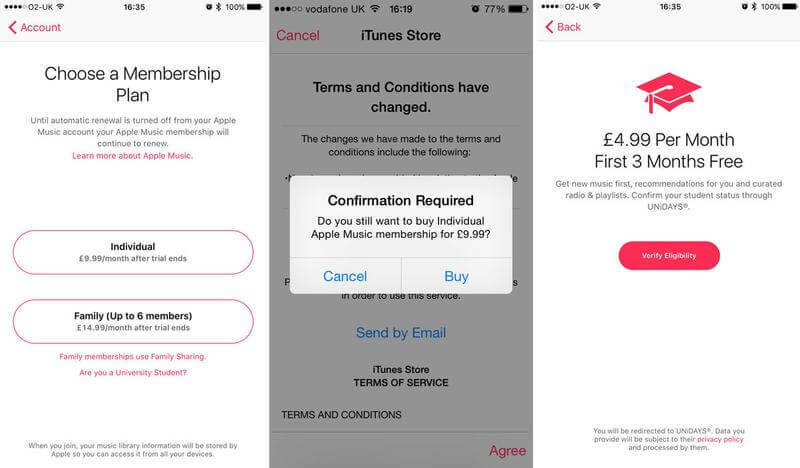 Parents of pupils and students can’t use the discount themselves, but can purchase something for their children from the Apple store. Apple just notes that everything bought from their education store should be used for personal (non commercial) purposes and couldn't be resold. If you haven’t found yourself in the list of those who can grab a discount, and if you still want to spent less money on Apple devices, try visiting Apple Refurbished store. The prices are lower there, and it is available to everyone! Depending on where you live, visit either Apple’s US or UK education store I linked above. In the US, you don’t need some specific evidence for using education store. Still, Apple can request such an evidence from you at any time, even after the purchase. They will charge a fee from you in case you don’t upload the evidence in time. In the UK, use your UNiDAYS to access the discounted education store. You need to sign up, it ordinary takes a couple of minutes. As soon as you prove your identity, you have the access to Apple’s education store. If you are an employee who purchases Macs for students, visit Apple Store for Schools and Apple Store for Universities. Every site needs you to be registered. As an option, you can contact Apple by phone: 0800 912 0207. In general, shopping in the education store is similar to common store, the only difference is the pricing.Be ready to provide a proof that you are involved in education and try to log in from the university network. If you are a student, but don’t want to handle that online, visit offline Apple store , call the support team or use the online chat. Apple doesn’t have specific % discounts but offers various discounts for each their product range. At the moment, they have discounts for Macs (iMac, MacBook Pro and Air and Mac Mini) and iPads. There are no discounts for the other rande of Apple products. Keep in mind that the size of a discount may differ in the US and the UK stores, as in the first one a student can get a $20 discount for an iPad while in the UK, Apple offers a £59 discount for the same iPad. As I mentioned above, students can get a 50% discount for Apple Music subscription. If you are a student, you get 3 months for free, as usually, and after the trial period, you pay less. For getting this discount you have to prove that you’re a student of a college of a university.